All the news that hogged the headlines today. The Christchurch district court eventually decided the sentencing of the same and dropped Harley’s name for the suppression. Harley James and his cricketing career began in the 1999 season wherein he was chosen to be a part of the Canterbury squad for the season. They stated that the fixing took place when the Aussies played India in the Ranchi Test match, something Glenn Maxwell was indeed a big part of. Maxwell went on to add that there was simply no truth in these fabricated allegations and that it was brutal to tarnish one of the finest moments in his cricketing career. 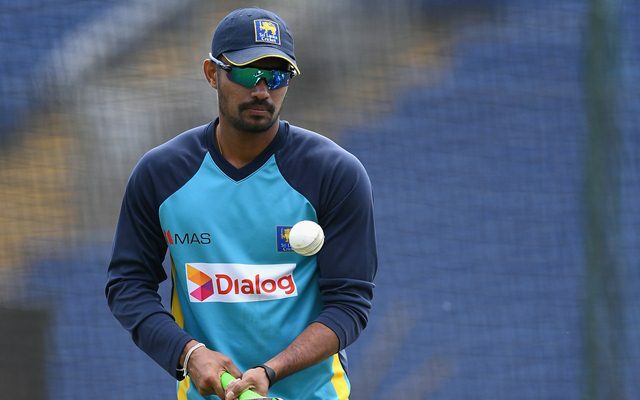 Sri Lankan top order batsman Danushka Gunathilaka is in the middle of an unwanted loop after the SLC suspended him for a year from all forms of international cricket. After a lacklustre outing in the opening match against the Proteas in Galle, the left-hander scored 57 and 61 respectively to carve the resounding series win. India recently lost the ODI series against England even after taking a 1-0 lead in the series with their triumph at Trent Bridge in Nottingham. Prior to that Virat Kohli’s men are scheduled to play a four-day practice match against Essex at County Ground in Chelmsford. Gupta’s eight-month doping violation ban which came into effect from 15th January 2018 will be ending at midnight on 14th September 2018. Faiz Fazal, who played a crucial part in Vidarbha’s maiden Ranji Trophy triumph last season, will lead the Blue team. Just when a decent performance in the Indian Premier League (IPL) made a comeback to the national cricket team look imminent for Ambati Rayudu, a fitness fiasco left him out in the cold again. The 32-year-old Andhra Pradesh batsman saw himself getting omitted from the India A and B squads for a quadrangular series. The visiting side elected to bat first after winning the toss at the Manor Way in Bexley. MacLeod took a six-wicket haul as his bowling figures read 6-2-5-6 while the Guyana-born Benn took 4/12 in the 5.2 overs. Dimuth Karunaratne has become Sri Lanka’s highest-ranked Test batsman, while Keshav Maharaj has returned to the top-20 in the latest MRF Tyres ICC Test Player Rankings. Karunaratne now leads Chandimal by 21 points, while he is ahead of ninth-ranked Elgar and tenth-ranked Markram by 30 and 51 points, respectively. Ahmed said Zaman’s current form could make him an opening batsman who can attack the opponents from the word go. He took just 18 innings to make the four-digit club, bettering Sir Vivian Richards’s record by three innings. Bangladesh have added opener Soumya Sarkar and middle-order explosive batsman Ariful Haque in the squad for the three-match T20I series against the Windies. The move is expected as an attempt to strengthen the Bangladesh T20I team for the upcoming series against the host Windies team. Lancashire hasn’t had the best of times in the ongoing county championship as they are languishing at the sixth position of Division 1 in the tournament. Lancashire was bowled out for 109 runs in response to Yorkshire’s 192 all out in 57.1 overs. Afghanistan have produced quite a few impressive talents over the past few months, Rashid Khan is one of them. The Arabians were knocked out of the first edition after their semi-final defeat against Kerala Kings in Sharjah. India and England have been part of one of the most fierce and exciting rivalries on the cricket field since the early 90’s period. Anderson played a pivotal role in the 2012 series in India to help the England team lead a clinical performance throughout the tour. Ravichandran Ashwin forayed into international cricket in the 2011 World Cup in the sub-continent and hasn’t looked back ever since. On the back of the stupendous performances, the chinaman bowler was drafted into the Test squad. Delhi’s young wicket-keeper batsman Rishabh Pant received his maiden call-up to the Indian Test team for the five-match Test series against England. The flamboyant Delhi batsman recently smashed a couple of half-centuries in the four-day clash between India A and the England Lions side.